How Should I Spend Money on My Blog? Over the last few years, blogging has gone from “that kinda weird thing that Internet people do” to mainstream. My mother still uses a pre-paid cell phone, has never been on Facebook, and had dial-up Internet up until about a year ago. And she has a blog. One of the biggest reasons that blogging is so attractive is that it is a way to enjoy your passion that requires little start-up cash. Heck, it costs more to go to a baseball game with your family than it does to start a blog. You can even get started with absolutely no money. 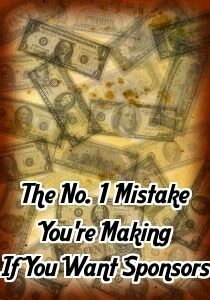 As your traffic starts to grow, however, you might want to spend a little money on your blog. Recently, we posted an infographic featuring bloggers who made millions online. 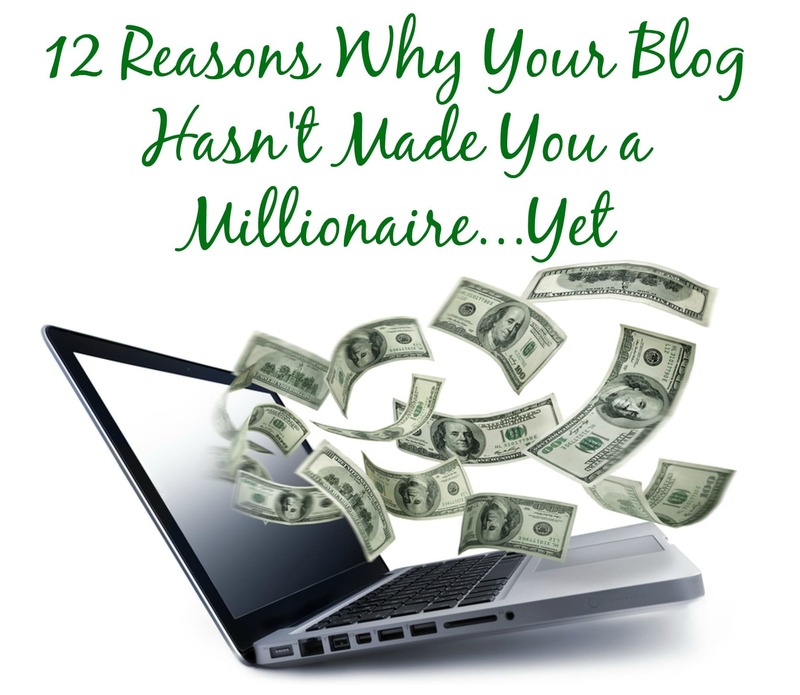 You can bet your britches that these people have invested money into their blogs! Now, yesterday, I wrote a bit about the advantages of paid targeted traffic, but if you’re a beginner, there are other things you should start paying for first. The number one thing you should purchase if you want to continue growing as a blogger is hosting. While millions of bloggers have gotten their start on Blogger, WordPress.com, Tumblr, or another freely hosted blogging platform, very, very few free services allow you enough freedom to really grow your blog. Sponsors/advertisers and customers will take you more seriously if you own your own site. Think about it. When’s the last time you saw a successful blog on a wordpress.com or blogspot.com site? First, you need to purchase your domain name, which costs around $10 per year depending on where you register the name, and whether you want a .com name or a different extension, like .net, .org, or .me. Then, you need hosting, which costs as little as $3 per month, depending on the size of your site, the company providing the hosting, and whether you purchase by the month or pay several months in advance. As a blogger, you really shouldn’t have to pay more than $10 per month. So, in total, you’re looking at $75 – $150 per year (or $6 to $13 per month) to own your own site. You can spend even less money if you look for a sale. If you spend no other money on your blog, spend money on this. Next, for many bloggers, it makes sense to invest in a premium theme and some premium plugins. Yes, there are a ton of free options out there, but the features you get with premium themes and plugins can help you grow. As far as themes go, you can choose options such as Thesis, Headway, or Genesis, or you can choose to subscribe to a membership site where you pay one fee to have access to lots of themes. Woo Themes is an example of this kind of membership site and while you will be paying month instead of a flat fee, these membership options are typically a good choice if you have several blogs or change your theme often. Premium themes can cost as little as $5 and as much as several hundreds of dollars. Most of the time, you get what you pay for. Now let’s talk about premium plugins. There are thousands of choices out there. 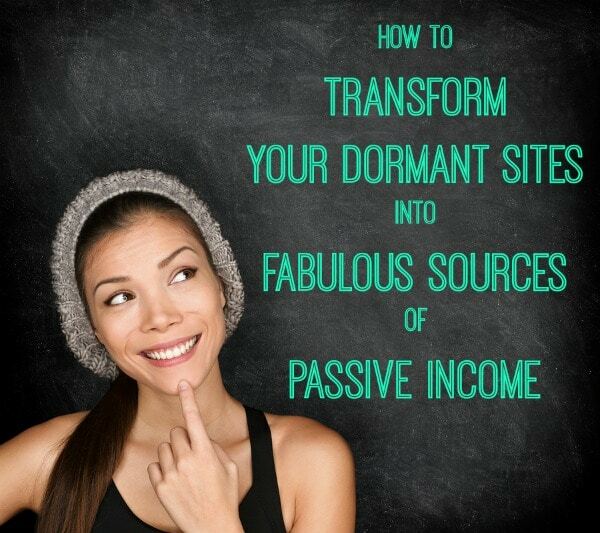 Pay for the plugins that make the most sense for your blog and your goals. You can also find “freemium” plugins, which means you have access to the plugin for free, but you have to pay if you want additional features and support. CommentLuv: Freemium – I purchased the upgrade and LOVE it! Not only does it give you Look for a sale and you can upgrade for a very reasonable price. When I purchased, I think I paid $30-40 for unlimited use, which is normally $97. I might be biased, but I believe that one of the best investments you can make as a blogger is in education. I work for NMX not just for the paycheck, but because I really believe in what this company is doing to help teach content creators to be better at what they do. I always walk away having learned something! If you’re not already signed up for our next show, I highly recommend it (you can learn more here). Of course, you should also be reading other blogs, which is completely free. It always boggles my mind when bloggers say they “don’t have time to read other blogs,” which really means they don’t make time to read other blogs. Education blogs (like this one and others like it) are invaluable for learning more about blogging. Let’s say that you have a few hours every day to work on your blog. In those hours you can be doing any number of tasks; as most bloggers know, you could fill a hundred hours a week with blogging work! A virtual assistant or a contractor can help you with low-level tasks so you can work on other tasks that are going to help you make more money. For example, you can have a virtual assistant help with emails so you have time to write more blog posts. Or you could have a contractor write some posts for you so you have time to work with sponsors. With virtual assistants and contractors, you don’t always get a more trusted, skilled person if you spend more money. I’ve worked with VAs who charged $5 per hour and were excellent. I’ve also worked with VAs who charged $20 per hour and did a horrible job. You really have to do your research to find the person who is a right fit for you. As a sidebar, one of our speakers, Chris Ducker, runs a company that specializes in helping people find VAs. We love Chris, and if you’re looking for virtual help, definitely check out his services at Virtual Staff Finder. Lastly, I highly recommend that you invest in your mailing list. There are free services to get started, like MailChimp, but I like the premium services offered by other companies a little better. My personal favorite is Aweber (for bloggers), and if you need a more robust CRM and marketing tool, not just a way to send emails, there are more expensive services out there, such as HubSpot, Marketo, and Infusionsoft. With mailing list services, you’ll pay by the size of your list. Feedblitz is also an option. This service combines RSS and email so you can reach readers with the content they really want. When someone visits your site, you have no way of reaching them again if you don’t have a mailing list. Even if they follow you on Twitter of Facebook, there’s no guarantee that they’ll see your updates, since the Twitter stream moves so quickly and Facebook status updates aren’t seen by everyone. With a mailing list, you can reach the reader where they live the most…in their inbox. You can send them newsletters to help build trust, links to your blog to help boost your traffic, and product recommendations to help you make more money. You can also survey your readers using your mailing list, allowing you to find out what kind of content they most want. So there you have it: my top five recommendations for spending money on your blog. 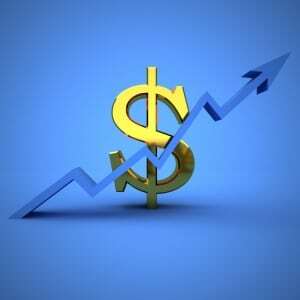 Do you invest in your blog? If so, how do you spend your money? Leave a comment letting us know! Full disclosure: some of the companies mentioned are past or current NMX/BlogWorld exhibitors and sponsors or are owned by past or current NMX/BlogWorld speakers. It’s hard to keep track since we’ve had so many people working with us over the years! I never recommend a product I don’t believe in, though. If you have any questions about NMX’s relationship with a specific company, let me know! This post is part of a five-part series about creating better blog pages. You can see all the posts in this series here. Sometimes, advertisers will simply look at your about page or contact page, but my advertising inquires increased by tenfold when I put an advertising page on my site. 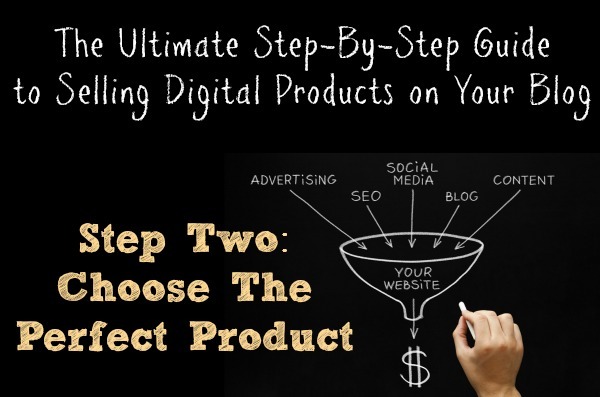 This page simply covers some of the most common questions advertisers have, like demographics and pricing. I really encourage you to list some baseline prices on your advertising page. This helps cut out people who email you and want free link trading or have a very low advertising budget. You don’t have to give specifics, but you can list ranges or your starting prices to give potential advertisers an idea of what they’ll need to spend to work with you. Even if you have a contact page (which you absolutely should), include your email address on your advertising page as well. 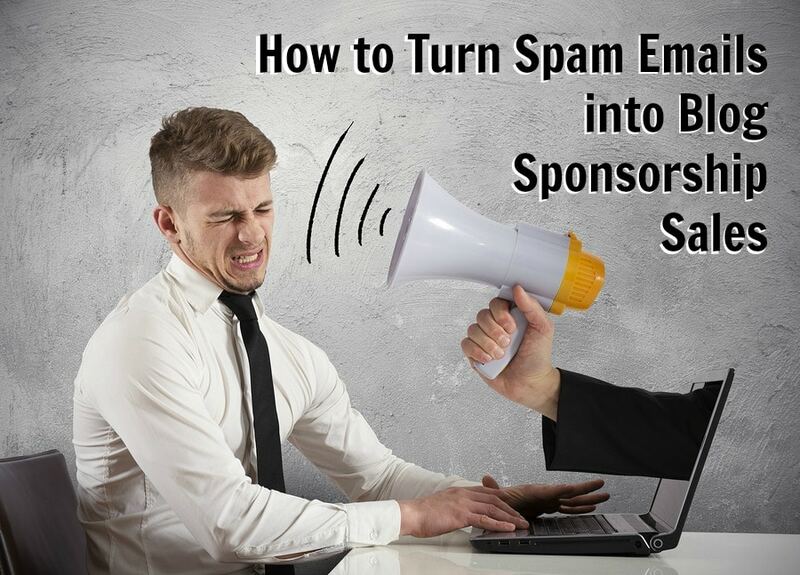 You don’t want people to have to work to figure out how to email you about buying advertising! One of the forms of advertising I offer on some of my blogs is a sponsored post. So, I have a separate page just for this, which answers the most common questions and gives pricing information. You might want to simply include this as part of your advertising page; it depends on your niche and how many sponsored posts you want to include on your blog. Before adding a sponsored post page, I would get requests three or four times a year. Now, I get about two every month. The biggest benefit to having a sponsorship page is that you can talk about the quality you want in a sponsored post. Before, of the few posts I was offered every year, at least half of them were very poor quality—nothing I would publish. Now, most of what I get is on point. This isn’t just a way to make money. It’s also a quality resource for your readers. Customize the list for your niche (for example on one of my sites, The PinterTest Kitchen, we have a list of kitchen supplies we like since it’s a food blog). Don’t forget to keep your list updated so it’s always relevant for readers. I also recommend creating some posts on your blog that are really specific about certain resources. For example, if you have a fashion blog, you could have a page for general resources, but at some point you might create posts like “The Top Ten Shoes Every Girl Needs to Own” or “My Favorite Hair Tools of All Time.” Link to these posts on your general resource page. A final page that I really recommend every blogger has (if your blog is monetized) is a disclaimer/disclosure page. The FTC requires you to disclose when you have relationships with certain companies you blog about or when links are affiliate links. Having a blanket disclose page helps you comply with these rules. This page can also include other notices and policies, like your comment policy. If you’re a blogger or podcaster wondering how in the world others in your field have caught the attention of major sponsors, you aren’t alone. Working with brands can take your content monetization to the next level, but sponsors don’t just materialize out of thin air and offer you cash for your blog or podcast – at least, not most of the time. I get email questions about sponsorships at least once or twice a week: How do I find brands who want to sponsor me? Should I work with such-and-such a brand or will it make my fans angry? What can I do to make more money working with sponsors? Our newest free ebook, The Ultimate Guide to Blog and Podcast Sponsorship, answers all of these questions and more. I’m not going to sugar-coat things; working with brands can sometimes be a challenge. Many brands don’t fully understanding blogging and podcasting, so you often have to be an educator as much as a salesperson. Our ebook is all about helping you learn these skills so you can be successful when working with brands. Let me give you a little sneak preview of the ebook with a quick FAQ about sponsorship! What is blog/podcast sponsorship? Is it right for my blog/podcast? Brands want to advertise their products and build their communities, and they can do so by working with influential bloggers and podcasters. This can be in the form of advertising, or you can work more in an ambassador type of relationship. Sponsorship is not right for every blogger or podcaster, but there are so many different options for sponsorship deals that you should definitely consider the options before writing it off completely. What kind of sponsorship deals can I offer? Depending on your type of content and niche, you can offer anything from banner ads on your sidebar to travel sponsorship deals where a company will pay to send you to a trade show. Other common sponsorship options include spoken ads (like commercials) , sponsored posts, sponsored social media messages, and wallpaper sponsorship. How can I make myself attractive to sponsors? The best case scenario is a sponsor emailing you with interest in working out a deal. This will never happen, however, if you’re unattractive to sponsors. You have to have quality content, decent traffic numbers, and a media kit. It can also help to create an advertising page and use language on your blog or in your show notes that will help sponsors find you when they’re searching for opportunities. When will sponsors start contacting me? You might be sitting around and waiting by the phone for a pretty long time. Instead, take matters into your own hands! Our ebook goes over five great techniques you can test out in order to find sponsorship deals instead of just waiting for them to happen. Be proactive! Should I work with Brand XYZ? In every niche, there are certain brands you want to avoid. It’s important to evaluate every potential sponsor, rather than just saying yes every time money is offered. There are several types of sponsorship deals you should avoid at all costs – and when you say no, you can definitely do so in a way that doesn’t burn any bridges, so you can potentially work with the sponsor in the future on a different deal. That’s a huge question, and the answer depends on several factors, including your traffic, the type of sponsorship, and your niche. Our free ebook covers this question in much more detail, along with some step-by-step options for setting prices. How can I make even more money working with sponsors? Are you offering package deals? Have you reminded brands already working with you about their sponsorship options? Have you created a relationship that will last long-term? Yes, you can make hundreds or even thousands of dollars per month with a single sponsor if you’re smart about it! These FAQs are just a brief taste of what you’ll get in the full 130-page ebook we’ve created. 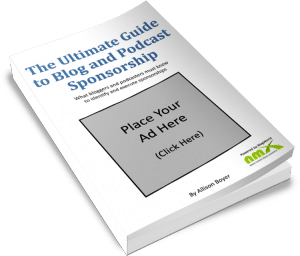 So, if you’re ready to take your monetization strategy to the next level, download The Ultimate Guide to Blog and Podcast Sponsorship today! You have awesome content. Your traffic is steadily increasing. 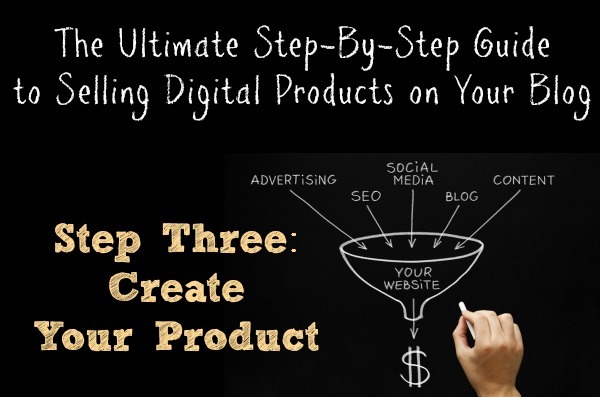 You’re setting yourself apart from other bloggers and podcasters in your niche. And yet, still, no sponsors or advertisers are knocking on your door. Why? Why is no one interested when it seems like “lesser” content creators in your niche have more opportunities than they know what do do with? Why are you suddenly the last kid to get picked in gym class, the girl without a prom date, the smelly boy sitting by himself at lunch? Easy: there’s a huge zit on your face, and it needs to be popped. Bloggers and podcasters make one mistake more often than any other, and I should know; I’ve made this mistake too. Recently, while listening to Marcy Massura speak at BlogWorld New York 2012, I swear a light bulb clicked on above my head. The number one mistake you might be making too is this: If you want family-friendly sponsors, you have to be family-friendly. What does that mean? Let’s take a look at Disney, for example. Now, the likelihood that a company as big as Disney will sponsor your blog is low unless you have mountains of traffic, but let’s say you have a travel blog and you really are blowing other travel bloggers out of the water. You’re getting nearly a million hits a month and driving a ton of traffic to advertisers’ sites, which is going to make Disney sit up and take notice. But what happens when they get to your site and see an f-bomb every two sentences. Is Disney going to slap a sticker of approval on your blog? Absolutely not. It doesn’t matter if your target audience is parents, not kids. Disney is a wholesome, family company. If they endorsed a foul-mouthed blogger it wouldn’t be in line with their company branding. Now, Disney might not be your target, but any family-friendly company from a Fortune 500 corporation to a family-owned local travel agency is going to feel the same way. You become a risk, and risks are not good. So, instead, Disney and Mo’s Travel Shop are both going to spend their advertising dollars elsewhere. Think about Disney when you’re writing or recording. If they wouldn’t be happy with your language and content, you should think twice before posting it online. You’re argumentative on your blog, podcast, or social channels. Even though you aren’t in the political niche, you voice strong political opinions often. Your content has a strong religious slant or bias. You party at professional conferences (or elsewhere – and pictures/videos are posted online). You attack other people in your niche or industry. In other words, you rock the boat. And not just by writing op-ed pieces regarding what’s going on in your niche or including your opinion when you discuss the news of the day on your podcast. You rant, belittle, and take no prisoners even when the topic has nothing to do with your niche. Again, you’re a risk. If a company sponsors you and your next piece of content is a rant about gay marriage or the next election or whatever the hot topic of the day might be, you put that company in a very awkward position of looking like they agree with whatever you’re saying, even though they haven’t voiced an opinion one way or another. They’re guilty by association, and your opinions might cost them customers who don’t agree. If you’re scandalous in any way, sponsors are going to be scared. Just look how many sponsors left when Rush Limbaugh verbally attacked student Sandra Fluke. Regardless of what sponsors want, however, keep in mind that your branding needs to come first. Being a buttoned-up blogger or a demure podcaster might not make sense for you. We need people to question the status quo and certainly there’s a large audience who likes the more edgy style. I hope Erika Napoletano never stops “slapping” people, and I would cry if The Bloggess suddenly became a family-friendly blog. There will be plenty of people – and even plenty of sponsors – who are happy to support this kind of style. Maybe dropping those f-bombs every two sentences or promoting your religion or being snarky on Twitter is what works for you and your community. That’s okay. Just understand the costs associated with this type of branding. Certain sponsors will never come calling if your content isn’t family-friendly. Be aware of your goals for sponsorship so you can make sure your content is setting you up for success, not scaring potential sponsors away. Want to learn more about getting sponsors for your blog or podcast? Check out our monetization track at NMX Las Vegas!